Born on 14th April 1917, Franciszek Kozlowski shared in the destruction of a Do17 on 21st September 1939 while serving with 122 Squadron of the Polish Air Force. He arrived in Britain in late 1939. Commissioned in the RAF in January 1940, he completed his training and joined 501 Squadron at Gravesend on 7th August. 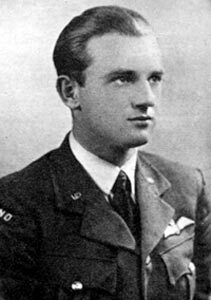 Kozlowski was shot down in combat over Canterbury on 18th August. He baled out and was admitted to hospital, seriously injured. His Hurricane, P3815, crashed at Pean Hill south of Whitstable. 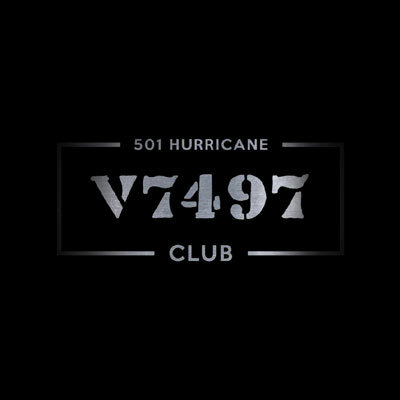 In early October Kozlowski was posted away from 501. He joined 316 Squadron, then being formed at Pembrey, on 25th February 1941. He was awarded the KW (gazetted 19th February 1942) and a Bar (gazetted 20th August 1942). 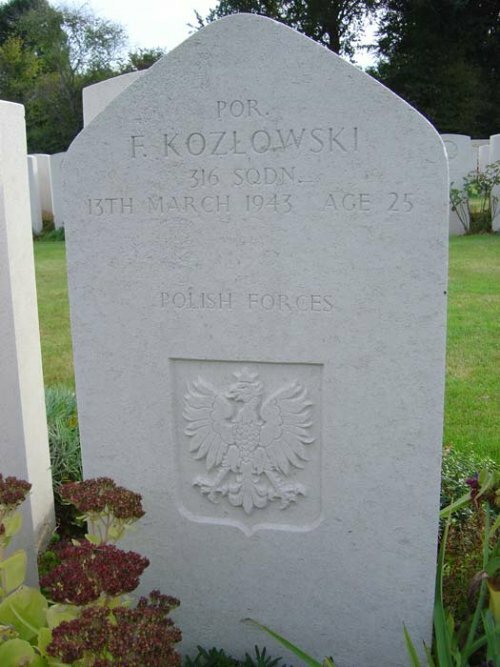 Appointed a Flight Commander on 4th October 1942, Kozlowski was killed on 13th March 1943 on a Ramrod to Poix. He was shot down by German fighters at Fesques, near Neufchatel in Spitfire EN171. He is buried in Dieppe Canadian Cemetery, France. Kozlowski was awarded a second Bar to the KW (gazetted 29th May 1943) and a third Bar (gazetted 31st October 1947).